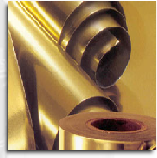 Foil laminations and plastic laminate rollstock. Rollstock that is ideal for our form fill seal machines. Custom printing. Rollstock laminations for medical and food packaging Solvent-less laminations reduce compromising product ingredients through odors associated with solvent migration. Moisture barrier lamination rollstock protection keeps fragrance in and odors out, offering vapor barrier protection. In-house lamination also contributes to the rapid turnaround rates for customer’s orders for rollstock.